Why spend a fortune taking the family out for dinner every night when you can make dinner for the entire family for just $7? Here are 10 easy and yummy chicken dinner recipes you can make for $7 or less and they’re quick and easy! These are some of our favorite recipes to help give you an easier start to dinner. For me just thinking of what to make is the hardest part of dinner, so picking the recipe is a major step to done! These recipes are cheap, easy and fast so pick one and have it for dinner tomorrow! Saute* first 4 ingredients in oil in a large Dutch oven (big pot or pan). Stir in flour, oregano and thyme. Gradually add chicken broth, potatoes and salt. Bring to a boil, reduce heat and cook for 15-20 minutes, until potatoes are tender. Add chicken and noodles and simmer 10 more minutes. Reduce heat and add milk. Do not boil. 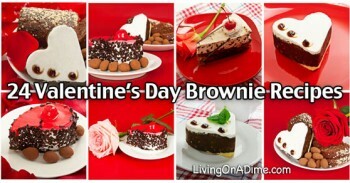 You can change this recipe to suit your taste. Add other veggies like peas, corn or broccoli. You can leave out the potatoes or substitute them with something like sweet potatoes or squash. You can leave out the milk (but the milk makes a nice creamy soup) and/or add more or less broth. You can also adjust the spices, for example you might add a little Tabasco sauce to give it a little kick. Brown chicken in oil, 10 minutes, turning occasionally; drain. Add the rest of the ingredients except pasta. Cover and simmer 25 minutes. Serve over pasta. Cook chicken in garlic and oil until brown. Place in an 8 inch baking dish. Combine everything else and pour over chicken. Bake uncovered at 375 degrees for 25-30 minutes until juices run clear. Serve over rice. Arrange spinach leaves on 2 plates. Layer other ingredients in order. Mix the mayonnaise and orange juice and drizzle over salad. Makes 2 servings. Melt the margarine in a 9×13 pan. Pour the baking mix on a plate or in a plastic bag. Roll the chicken in the margarine, then into baking mix and place back into the pan. Salt and pepper to taste. Bake at 375 degrees for about 45 minutes, until the juices run clear. About 5-10 minutes before the chicken is done, push the pieces of chicken tightly against one side of the pan and lay the biscuits into the pan on the opposite side. 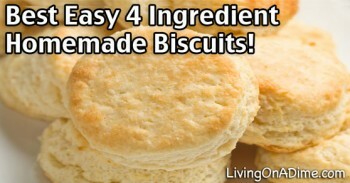 Finish baking until the biscuits are brown. 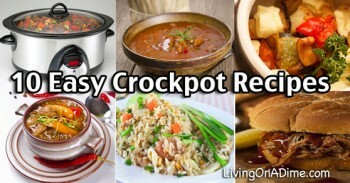 Easy Casseroles And One Dish Meals 10 Easy Crockpot Recipes and Tips Crockpot Salisbury Steak Recipe – Soft Chocolate Chip Cookies 10 Crockpot Recipes Under $5 – Easy Meals Your Family Will Love! Previous article: Easy Broccoli Raisin Salad Recipe! Super Tasty Broccoli Salad! these all sound good, quick and super easy, but my all time favorite is good old roasted chicken with stuffing in the bird (I know current thinking says stuffing can’t go in the bird, I still like it, LOL) I still save my old bread pieces in the freezer and tear them up for stuffing, w/onions, celery, butter, etc. my comfort dinner, for sure! and then, chicken tacos, and then chicken noodle soup made w/big old egg noodles! I agree, Donna. We think alike. I take a bag of frozen chicken breasts, cut an onion in a few big pieces,add a can of Campbells Golden Mushroom soup and a can of water into the crockpot on low for 6-7 hours. Serve over mashed potatoes. You can add a cut up peeled apple for a bit of sweetness. You can also throw in small potatoes for less work. 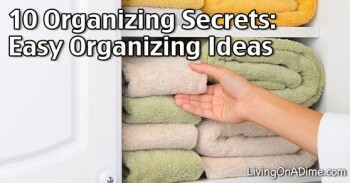 I so look forward to getting your newsletter for fresh ideas for cooking, cleaning and organizing! 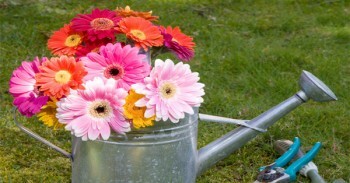 The money saving tips are wonderful and I use several of them. I got your Dining on a Dime cookbook but am going to have to buy another one as when I put it on the stove so I could get the measurements for the Beef Stroganoff recipes, I went to turn down the boiling water for the egg noodles and instead turned on the burner under my book! I didn’t notice it until the book was on fire! It didn’t burn up the whole book, just the first part of the book as I had it folded to the Beef Stroganoff page. I am totally bummed as I hadn’t read the whole book yet and I have lost the pages from the Chicken Barley Soup to the Beef Stroganoff. I made the Chicken Barely soup last night. My husband wasn’t too thrilled about that but said the Beef Stroganoff was to be put on the menu on a regular basis. He ate the leftovers for breakfast! I made the Chicken Barely soup on a big scale and took some of it over to my parents and they loved it! I made enough to freeze too, as I really liked it. I like taking your recipes and adding to them. On the Beef Stroganoff, I added an onion sliced in rings that I browned first, then added the meat to cook. Then I used Cream of Celery as we don’t like mushrooms. I made the rest of it to your recipe then added a drained can of peas to make it a one pot meal. For the Chicken Barley Soup, I boiled a whole chicken (The store had a sale for whole chickens for 88 cents a pound so I bought 10 of them!) and then I saved the water and took out the chicken to cool so I could bone it. I added chicken base to the chicken stock and more water. I took all the dark meat and put it back in the pot. The white meat I saved for tonight for Chicken Spaghetti. I chopped up 2 bunches of green onions, 8 stalks of celery, a bunch of carrot chips and added onion powder, garlic powder, pepper, salt and a really good squirt of dijon mustard. Dijon mustard adds a kick to it but not too much of one, depending on how much you add. Anyway, I am going to save up the money to buy another copy of your Dining on a Dime as mine is kind of a mess from the flames and the water damage from putting out the flames. Thanks for everything! Oh boy. Can’t wait to try them.